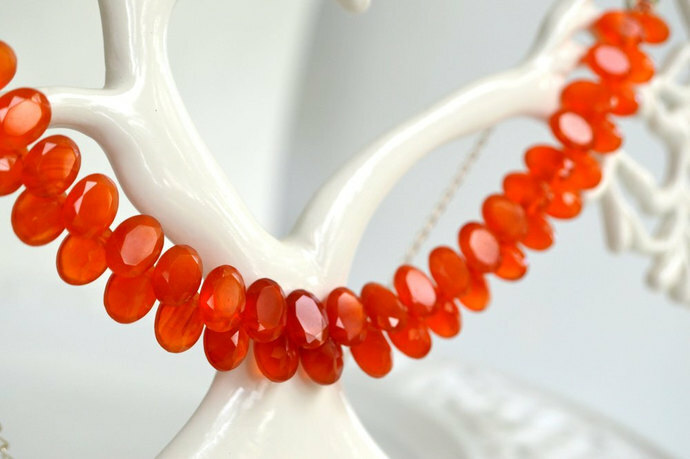 Beautiful faceted carnelian are strung on supple silver wire. 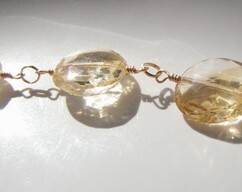 The stones have a wonderful ombre from light to dark to light along the length of the stones. 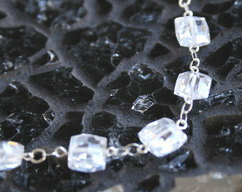 I used flat faceted sterling silver chain, and a lobster clasp to finish it off. The center width, with the stones being a set double stone pattern, is 1.5cm, and 6.5 inches long. 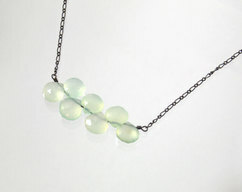 The total length of the necklace is 22.5 inches long.